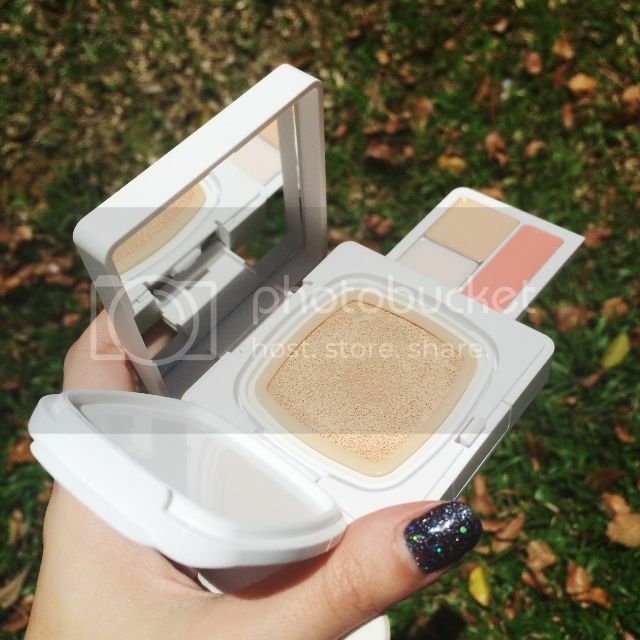 I’d received this BB Foundation in Shade #21 which was perfect for my skin tone. It aims to align the skin tone, retain moisture and protects against harmful sun rays whilst retaining the softness and elasticity of the skin. For awhile, I have constantly rave and review about BB Cushions (here), so I won’t bore you with the basics anymore. Here’s a tip I would like to share with you kitties though.. When you accidentally apply too much blusher on my cheeks, BB Foundations are perfect for toning it down without ruining your makeup. 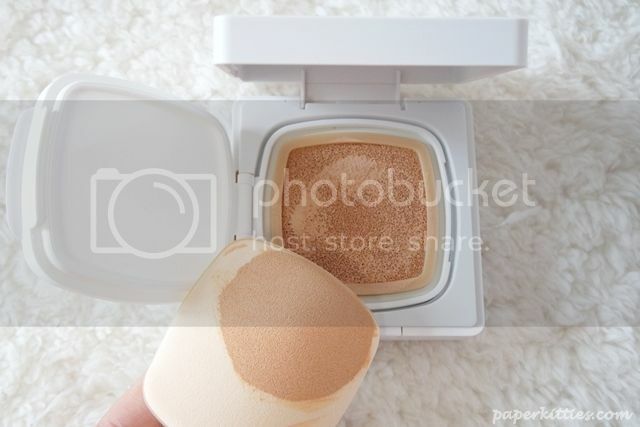 Simply use the remains of your BB cushion puff and tap it all over the cheeks until you get your desired shade of blush. By doing so, it also helps your blusher to last longer throughout the day too! 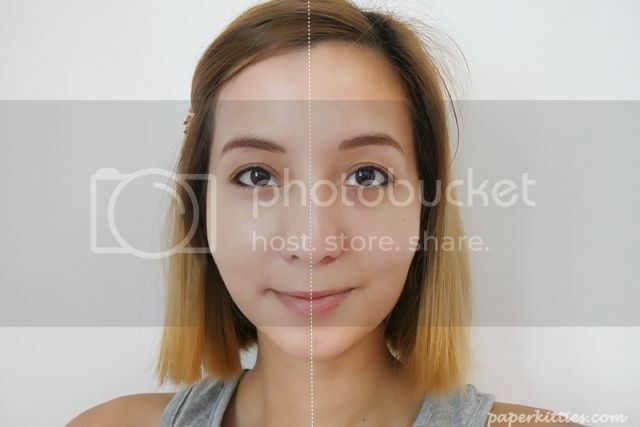 Anyway here’s how I look like before (right) and after (left) I apply my BB Foundation. Except for lining my waterline, no other makeup was used. 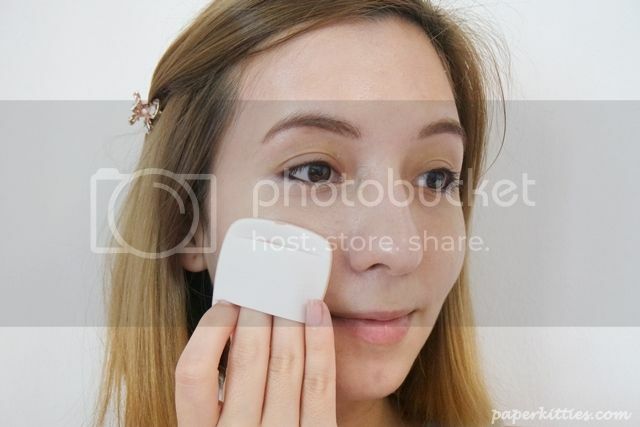 Love how the BB Foundation was able to effectively conceal my dark eye circles and dark spots whilst maintaining a dewy look. I would say that despite the buildable coverage, I would still categorize it under the light coverage range. 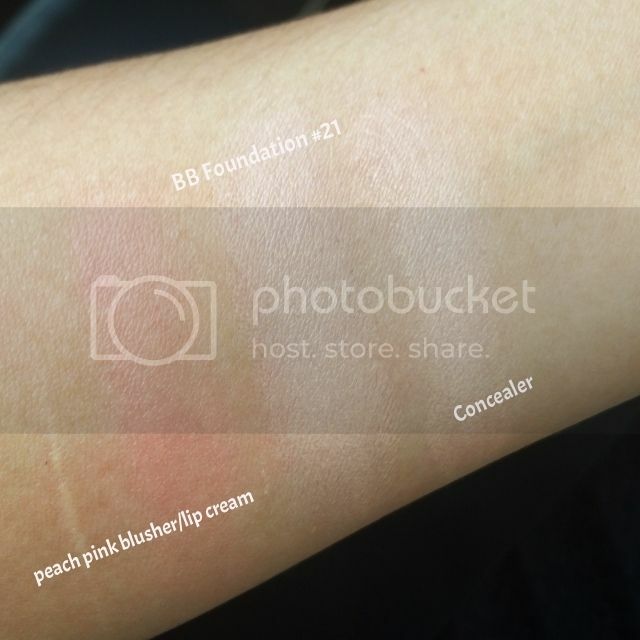 There was surprisingly minimal streaking despite me being out in the hot sun too so I am pretty impressed with the BB Cushion. And here you go, the secret compartment that I’d previously missed! 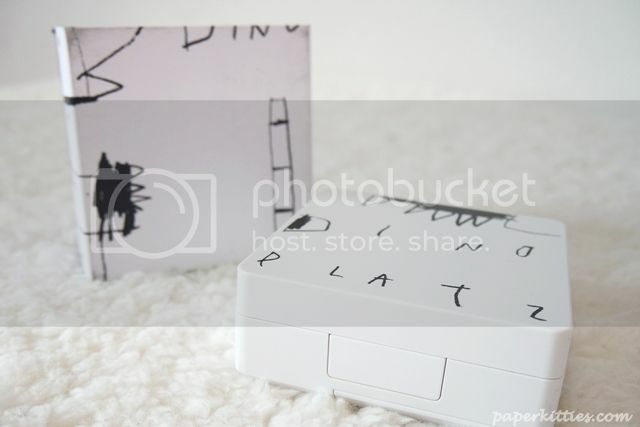 This cheeky little packaging was definitely full of surprises for me! Tadah! 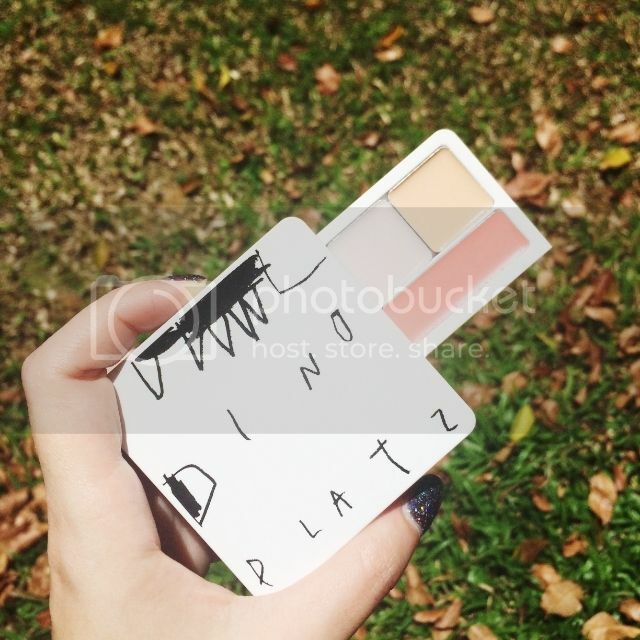 The Too Cool For School Dinoplatz U.F.O Multi Box is not JUST another BB Cushion, it is actually a universal makeup palette suited for every busy lady’s pouch consisting of a pore balm, concealer, and multi-functional pink blusher/lip cream! 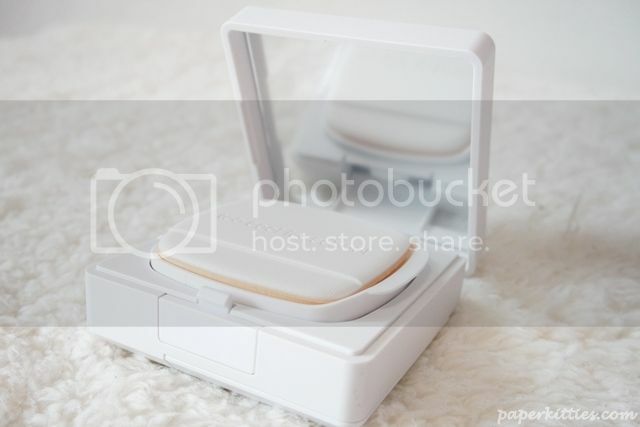 Everything you need all in one nifty little box, perfect for on-the-go touch ups!